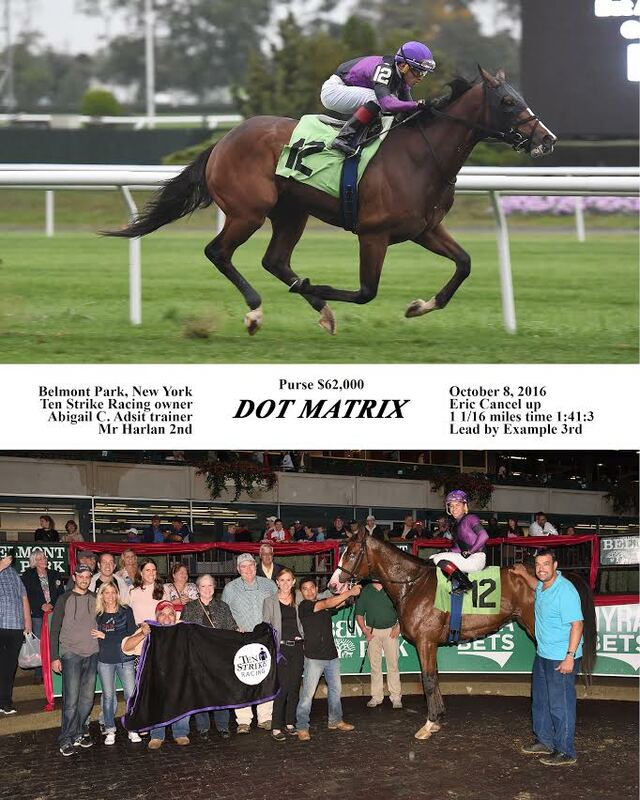 Dot Matrix won the nightcap at Belmont Park on October 8th making it his second win in a row. He broke sharply under Eric Cancel and took the field wire to wire for the 1 1/16th turf Allowance race. 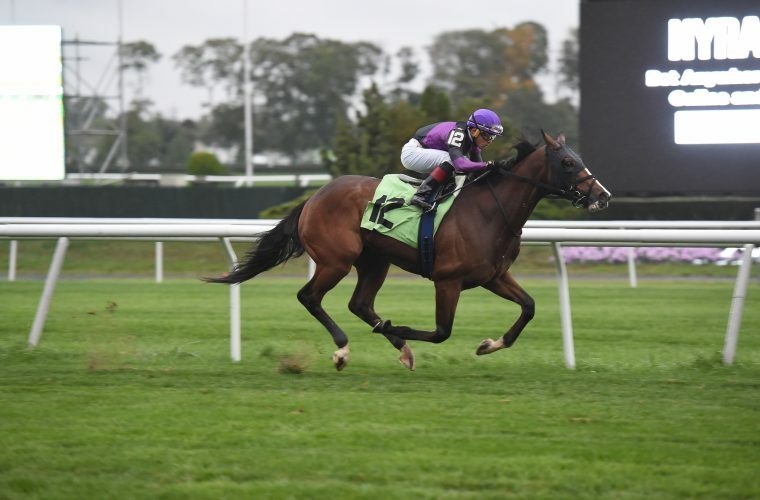 He broke his maiden at Belmont on September 17th in the same fashion for trainer Abigail Adsit. The three-year-old son of Freud is a Ten Strike Racing homebred. The mare Aunt Dot Dot was one of the first horses ever owned by founding partner Marshall Gramm. She has proven to a be a very productive mare with all five of her starters being winners. Stakes winner Aunt Ellipsis (Successful Appeal) has been the highest earner with $204,386 but Dot Matrix is close behind with $118,508. 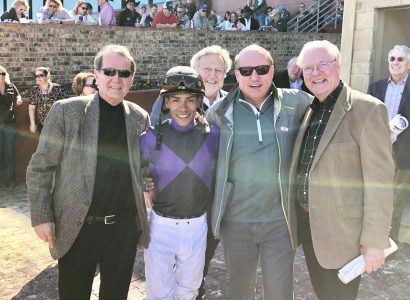 He is pointed for an N2X Allowance race next month at Aqueduct and will look to make it three in a row for Ten Strike!